IWVA has launched a strategic partnership program with some of the best vendors and consultants in the wine grape industry. Their services, products and expertise help all of us grow and improve, and we appreciate their support and commitment to the wineries and vineyards of Indiana. All wineries and vineyards are encouraged to reach out to these companies to learn how they can positively impact your operation. Vendors who are interested in joining IWVA's Preferred Partnership program should contact Rachel Gibson by clicking here. What you want, when you want it, how you want it ~ that’s our motto! MPI has a wide variety of capabilities, and services to offer. We take time to identify your needs and give you the best product for the job. With over 49 years of experience and a highly knowledgeable staff, we not only offer excellent printing we also sell and service label equipment and systems. MPI continues to make investments necessary to stay on the cutting edge of label technology. Do you need more reasons to choose MPI as your single source for all your labeling needs? With all the other decisions you have to make in a day, this one is easy…MPI is the answer! Steamericas, Inc. is a distributor of commercial and industrial cleaning equipment, specializing in vapor steam machines for mobile or in-house applications. Our products range from electric steamers to fuel-run steamers for those without access to 3 phase power. We offer fully compliant ASME units and more affordable UL/CSA listed units than others in the market. The Optima Steamer produces true dry steam that reaches deep into wood pores where hot water or chemicals cannot, making steam a much more effective and proven way to eliminate yeast and bacteria from various surfaces. Even better, steam is the most efficient way to hydrate (swell) barrels while using very little water and no chemicals. Hydrate and sanitize barrels simultaneously using only few cups of water. Using steam is also a great way to clean and sanitize other equipment, surface areas including tanks, floors, nooks and crannies around winery and tasting room facilities. Since 1929, the family farmer-owners of Growers Co-op have been growing Concord grapes on Lake Erie's south east shore. 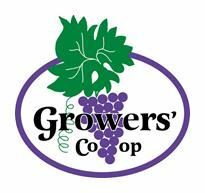 Growers makes its bulk Concord, Niagara, and Catawba juices and their concentrates available to the wine industry throughout the USA. From picking up a 250 gal tote to delivering 60,000 gallons, Growers serves all sizes of wineries. Growers contract processes grapes and other fruits (off season) for wineries and other customers. Indiana Wine Grape Council: The Indiana General Assembly recognized many years ago the positive impact that the wine grape industry has on Indiana’s economy. As a result, the legislature created a structure of support in statute that continues to encourage economic development efforts in Indiana today. Learn more about the Council and the Purdue Wine Grape Team by clicking here.